I don't think of myself as overly wussy on the chili front. 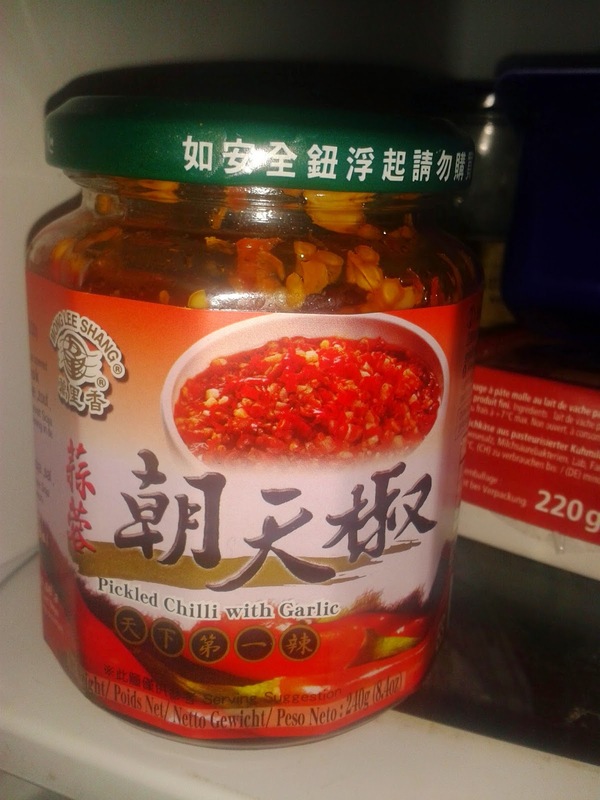 I happily use a good number of them in a meal and have even been known to eat the odd Scotch bonnet raw, so a couple of months ago when we saw this little jar in See Woo, it was an obvious choice. The first time we tried it we added a teaspoonful to our meals. They were bin cases. So we tried less and less. Firstly, the actual pieces of chili and seeds are way beyond edible. So I decided to test the oil it is sitting in. Three drips on my plate of chili con carne this evening was pleasant, five was borderline and by six I had to dilute the whole thing with another spoonful of rice. I am slowly beginning to conclude that this small jar of chili sauce that cost less than £2 might actually be enough to last the rest of my life. Truly fascinating.